Jennifer joined Watsi on August 12th, 2014. Three years ago, Jennifer became the 1712th member to automatically support a new Watsi patient every month. Since then, 3,394 more people have become monthly donors! 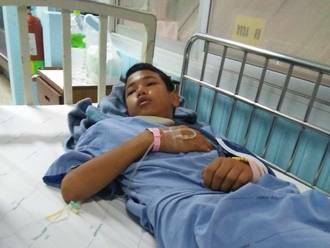 Jennifer's most recent donation traveled 8,300 miles to support San Mon, a boy from Burma, to fund spleen surgery. Jennifer has funded healthcare for 42 patients in 9 countries. Thanny is a teenager from Cambodia. 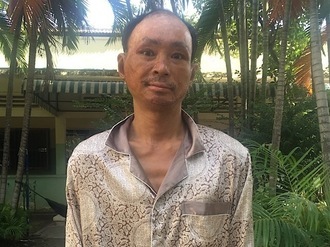 He comes from Pursat province and traveled four hours for his surgery. He has a recurrent dislocation in his elbow. He will undergo a procedure which will re-position his elbow, allowing him to improve his movement and relieve pain. 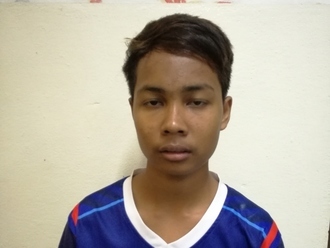 Thanny's favorite subject in school is Khmer literature and in the future, he wishes to grow up and be a businessman. After his surgery, he is excited to go back to playing soccer and going for walks with his family. He says, "I hope that after surgery, I will be able to continue playing soccer with no problems, and play with my friends." Victoria is a baby from Kenya. Her parents are subsistence farmers. Victoria has been diagnosed with hydrocephalus, a condition in which excess cerebrospinal fluid accumulates in the brain and increases intracranial pressure. If not treated, Victoria is at a risk of suffering brain damage, loss of sight, delayed milestones, and potentially death. 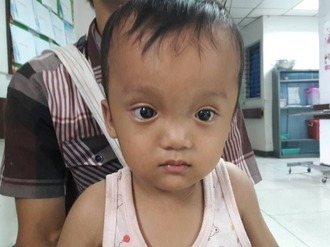 Our medical partner, African Mission Healthcare Foundation, is requesting $685 to cover the cost of surgery for Victoria that will treat her hydrocephalus. The procedure is scheduled to take place on November 29 and will drain the excess fluid from Victoria's brain. This will reduce intracranial pressure and greatly improve her quality of life. With proper treatment, Victoria will hopefully develop into a strong, healthy young girl. “This is our first born child and we want the best for her. We hope we can get help somehow,” says Victoria’s father. Sotharoth is a farmer from Cambodia. He is married and has two sons. He likes to tend to his farm and spend time at home with his family. One year ago, he was burned by gasoline, injuring his face, arms, and hands. Burn scar contractures have developed on his hands, tightening the skin around his burn. It is difficult for him to use his hands and bend his fingers. When Sotharoth learned about our medical partner, Children's Surgical Centre, he traveled for two and a half hours seeking treatment. On July 25, surgeons at CSC will perform a burn contracture release surgery to to help him use his hands freely again. Now, he needs help to fund this $448 procedure. He says, "I hope after the operation I can have mobility in my hands and fingers again and return to work." 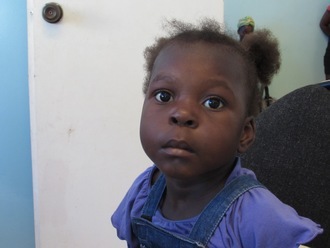 Sarah is a preschooler from Haiti. She lives with her father and older brother in a neighborhood of Port-au-Prince. She likes going to preschool and watching Disney movies. Sarah has a cardiac condition called atrial septal defect. A hole exists between the two upper chambers of the heart. Blood leaks through this hole, leaving the child sick and short of breath. 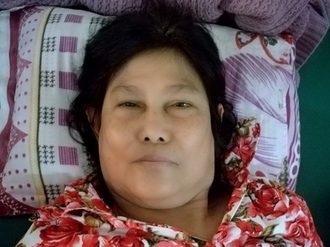 On April 9, she will undergo cardiac surgery at St. Damien Hospital, our medical partner's care center. During surgery, surgeons will sew the hole closed with stitches so that blood can no longer leak through it. Another organization, Gift of Life International, is contributing $5,000 to pay for surgery. Sarah's family also needs help to fund the costs of surgery prep. The $1,500 requested by our medical partner, Haiti Cardiac Alliance, covers cardiac exams and medications. Her father says, "Our family will be praying for everyone who is helping Sarah get well!"